Before discussing in detail regarding the parameters used for IPO review. We will look into the various points discussed regarding the IPO while reviewing an IPO. In this segment we are sharing ratings of companies IPO on all the parameters used in IPO review. These 10 parameters defines the performance of IPOs in the markets & will give a user a very decent understanding about the IPO success during its launch. In this segment, we discuss about the releasing date of an IPO. This is an important segment for a investor. IPO Issue Date or Release Date prepares a user for investment. This segment provides information once the IPO is launched in the market. Day to day subscription status helps the user to know the performance of the IPO in the market. IPO allotment status is generally shared with the public within 7 days of IPO issue. This generally helps the user to know whether he/she has been allotted with the IPO or not. The IPO price band is decided by mutual consent of company & BRLMs associated with the company & it is released 1-2 days before the launch date of the IPO. An IPO Issue size generally means the amount of money company wants to raise from the public with the help of IPO. The IPO issue size decides whether the IPO is Large Cap, Middle Cap or Small Cap IPO. The meaning of IPO Equity shares offerings is the amount is shares company is ready to offer to the public for subscription. IPO Offer or IPO Issue Details is a detailed view of IPO Issue size & IPO Equity Shares Offerings. Company provides all details here regarding the Offer like Size of the IPO, Equity Shares, Reserved for Employees, Reserved for Market Makers, Net Issue, Retail Investor Portion, Non-Retail Investor Portion & much more. It also talks about the face value of the share, premium charges & offer value of the share. 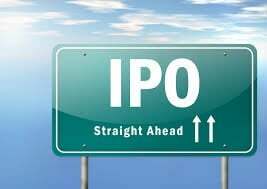 The IPO Object is the various reasons for which the company is offering its equity shares to the public & wants to raise funds & utilize funds. Company has to provide all details of the object before going for the IPO Offer to the public. IPO grey market premium is basically a process wherein a buyer & a seller of the upcoming IPO gets into an agreement of buy & sell pricing before the IPO Issue date. This is like gambling on the IPO before its launch date based on the market sentiments. Now let us the discuss the various parameters used to review an IPO. A very important parameter for any IPO review is Industry Sentiments. Industry sentiments means that if the Industry is supportive of the IPO. Ex. if a company is planning to launch an IPO they should always check whether the industry stats are supportive of the same or industry as a whole is showing good growth which can lead to positive launch of an IPO. 2nd important parameter while reviewing an IPO is checking the industry ranking of the company going for IPO. Industry Ranking means the ranking of the company within the specific industry or sector, whether the company is doing great so that they deserve to go for a successful IPO or they are not. Understanding & checking the industry ranking is very important during an IPO review. Another important factor during IPO review is checking company background & cases filed against the same. Checking highs & lows of the company before investing in an IPO is always advisable by all research analyst. Age f the company, experience & management of the company is very important parameter while performing an IPO review. Company reputation in the industry is a very important parameter while judging an IPO. An IPO review is incomplete without great understanding of company reputation in the market. Company reputation is known by various factors like legal cases against the company, legal cases against the management or fraud in the name of the company. These traits are important before an IPO review & IPO investment. One of the most important factor of IPO review is competitive edge of the company. Competitive edge of the company is decided on multiple factors like companies financial statements, companies market share, companies background, recent performance & others. A company with good market share will always have a competitive edge & will get a good IPO review. Another utmost important factor for IPO review is the companies financial statement. PAT & Revenue are the 2 most important factors which determines the performance of the company in the IPO. CAGR, Earning per share & Assets are another important factors which helps in IPO investment. Popularity of the Company or Brand & Popularity of the IPO plays a very important role in the success of an IPO. A Popular brand will always find buyers for their shares quickly & can also get a better valuation. Choosing a good investment banker also plays an important role here as they help in releasing the Companies IPO. High popularity index for an IPO will always perform good in the IPO index. Promoters reputation is also an important factor of IPO review. A company with strong promoters will always have a good run in IPO because the faith in promoter plays a very important factor. IPOs success is also driven by its promoters popularity & reputation in the market. Another important factor of IPO review is to check what other stock brokers & their research analyst has to say about the companies IPO. This is another important factor as they are experience analyst & Market stalwarts who are involved in analysis of the IPOs. I review from their end will always be helpful in analyzing & investing in any IPO. Timing of an IPO launch is an equally important factor in IPO Review or IPO investment. Launch time of IPO is vry critical, its like releasing a movie in the theater. Few important things to keep in mind during IPO launch time are other ipo launch or competition, market sentiments, industry sentiments, companies performance, promoters reputation & others. A good timing of IPO launch can change the fate of the IPO.